The North Band is more than just a organization that exudes excellence in everything they do. It is a family and community of amazing students, parents, teachers, and family members working together to create one of the best and largest organizations at RNJH! With over 15 performances per year, the North Bands perform at an extremely high level. With consistent sweepstakes awards at UIL contests, Best in Class awards at DFW festivals, and advancing to the Area level in the Texas Honor Band competition, the Viking Band is one of the premiere band programs in the DFW metroplex! Annual North Band Halloween Party! NRH20 Water Park Field Trip! All of the Fun. All of the Time. 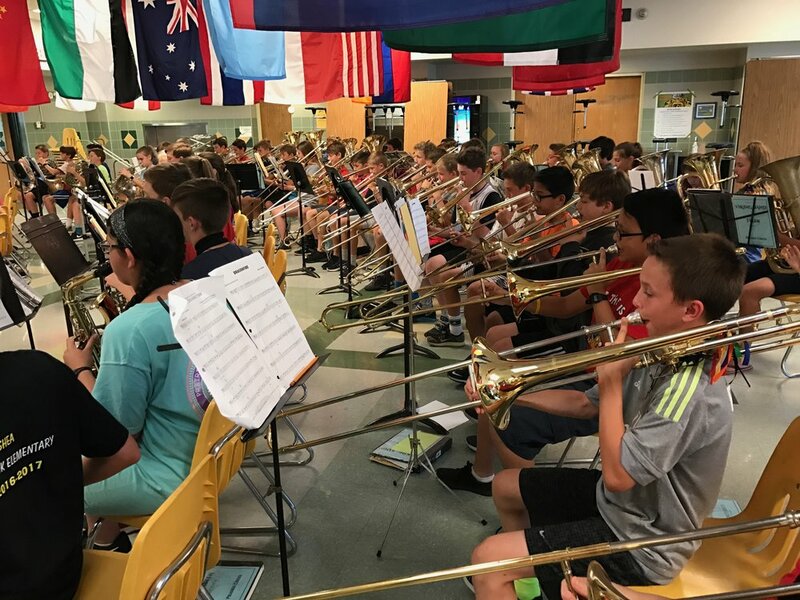 When we asked members of the Viking Band what their most favorite part about the band is we kept hearing an answer over and over: Friends and Family! Being a member of the Viking Band means that you instantly have 200+ friends of varying interests, talents, and skills. However, they all have one common passion: Making Music in Band! Join Us. Make Music. Be Awesome! Feel free to email the band directors with any questions you may have regarding the Viking Band. We are always here to help you become a member of our incredible organization. Join Now!